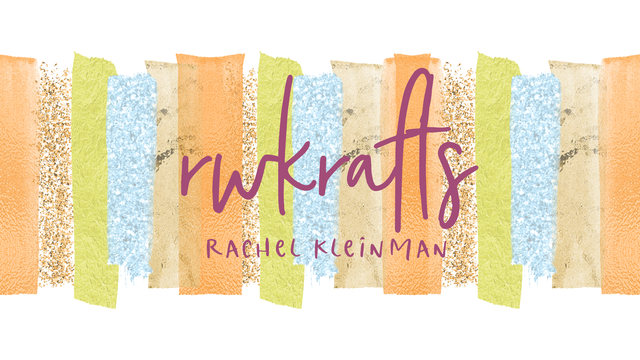 RWKrafts: Halloween Inspiration Event - Day 5! 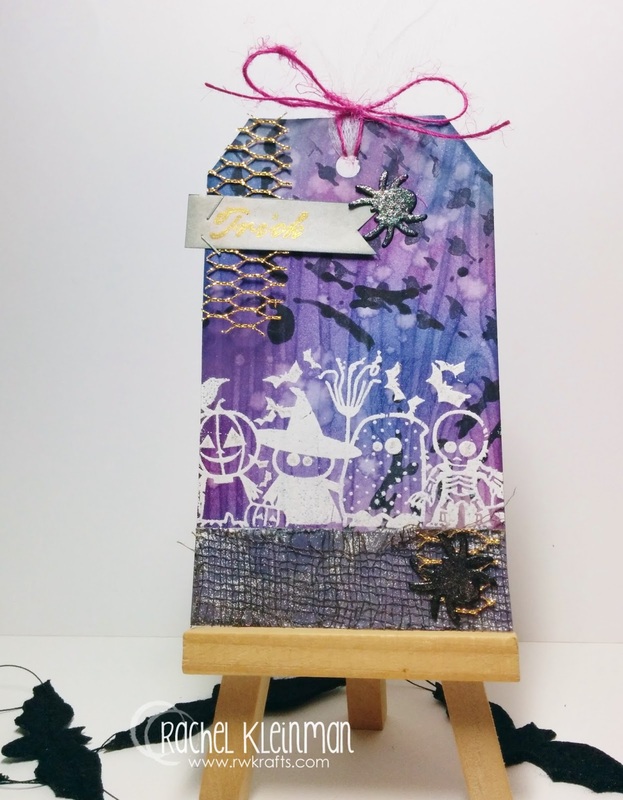 Welcome to DAY 5 of the 7 Days of Halloween Inspiration Blog Event from the Inspiration Crew! (Hint... this is my favorite one of the year!) 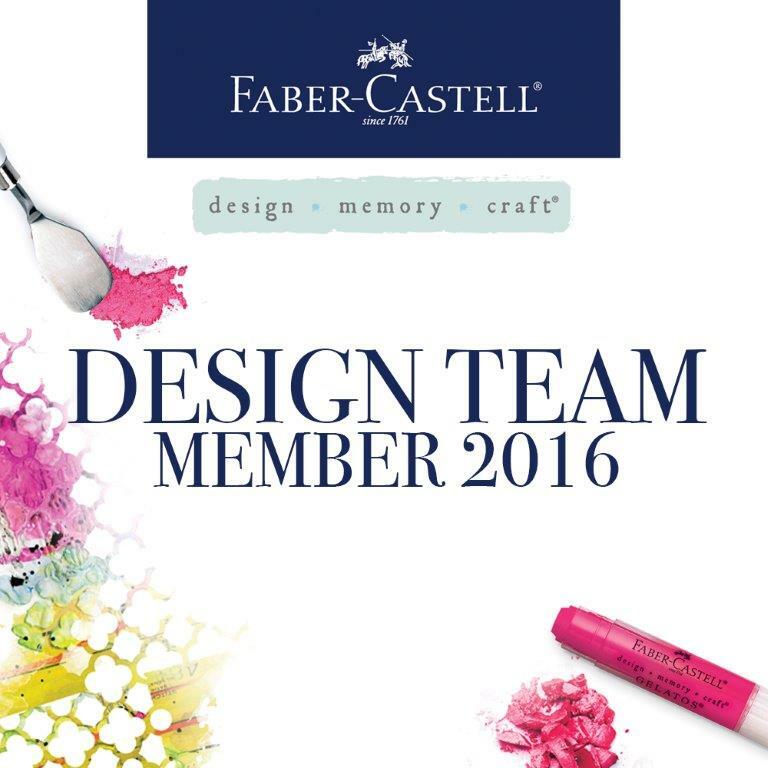 We're just a creative group making projects we want to share and using products we like. SOME OF US ARE OFFERING PRIZES!! 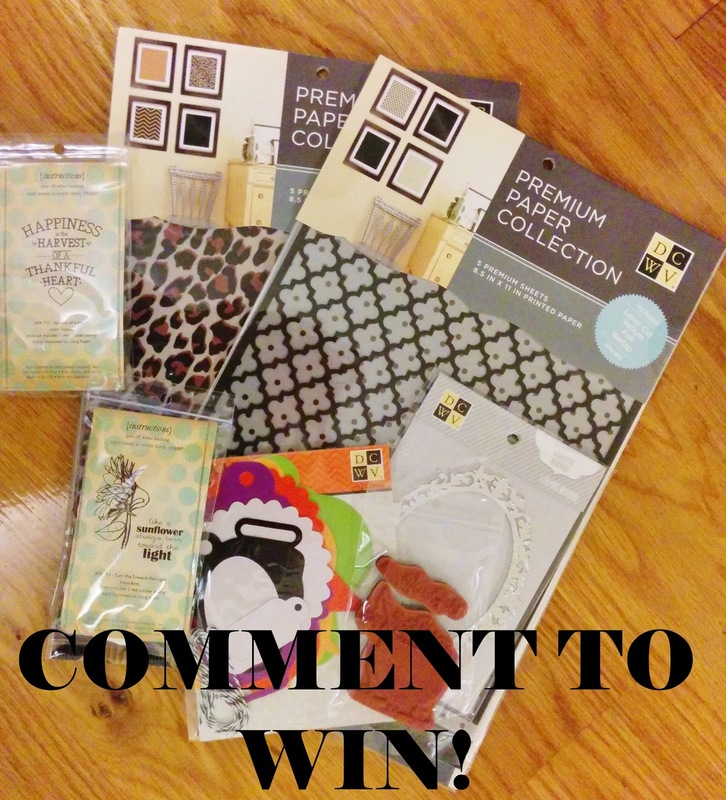 Check each of the blog links below for prize details, and of course for more Halloween inspiration! I have another fun tag today! This time I used some OLD (I mean OLD!) Halloween stamps in my stash. 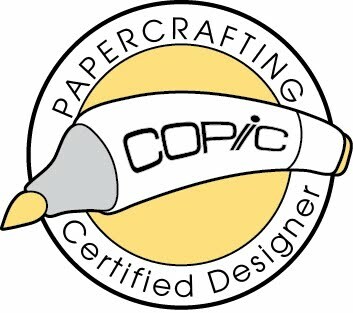 First I cut a tag using some new DCWV white embossed woodgrain paper. I covered it in various Distress Inks (Chipped Sapphire, Dusty Concord, Seedless Preserves, Iced Spruce, and Black Soot) and splashed some water over top to remove parts of the ink. Then I used a Crafter's Workshop stencil with Black Soot ink for the splashed coffee stain circles. Then I stamped my brand new Unity "Vintage Era Background Kit" with that great flock of flying geese. Finally I heat embossed my trusty trick-or-treaters (Inkadinkado), added the strip of DCWV Gauze to the bottom, and put the 'trick' sentiment banner. AND I have one last little announcement... 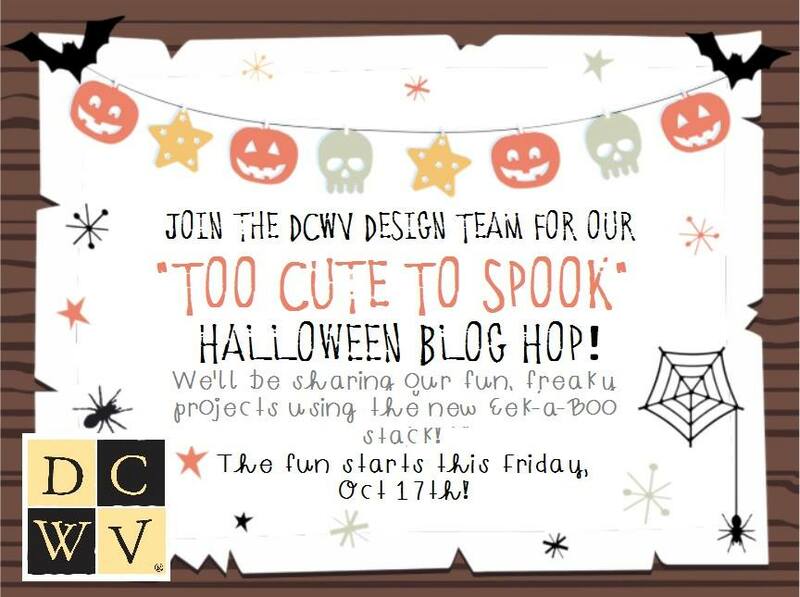 There's a DCWV design team blog hop happening tomorrow! I hope you stop by to see the great projects and a chance to win 3 DCWV stacks! great tag... love the colors and textures! Fun stamp too! OH my gosh! This is just a work of art! I love all those glittery details like the mesh, the gold netting and the glitter on the spider. Beautiful colors on the background! I love your tag Rachel! The colors and stenciling are great and the textured trims are the perfect touch. very nice Tag love the details and mesh and glittery spidey! Fabulous tag! Spooky CUTE. I love the tick or treaters. Spooky fun! I love the colors too! The background on this is so pretty and stamping the trick of treaters in white makes them kind of ghostly! LOL! Great tag - love the little trick or treaters..
Fun tag Rachel! Love the background and the pops of white!! 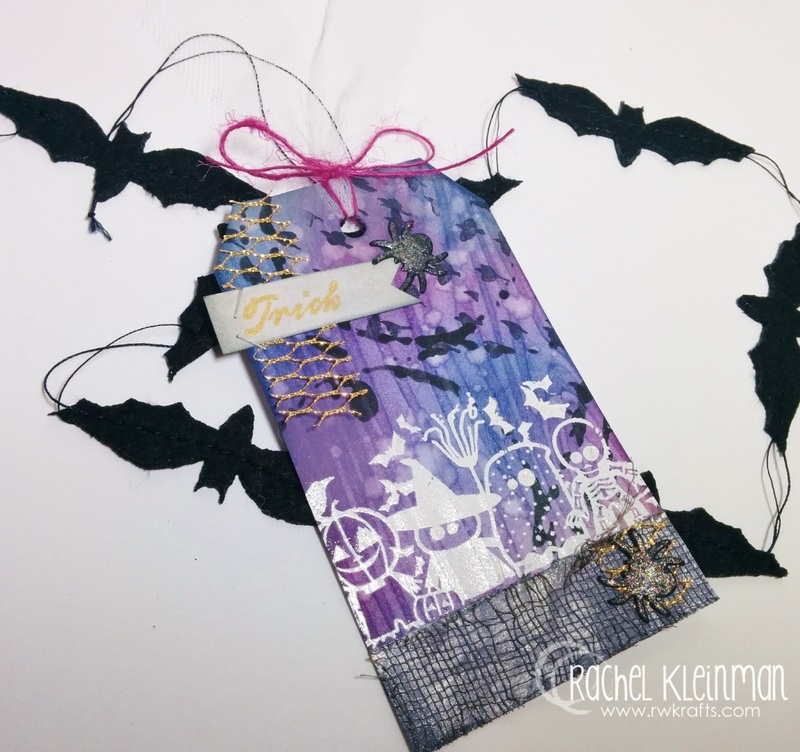 FABULOUS tag Rachel - LOVE your inky layers and pretty textures!!! Gorgeous tag! I love the texture and colors. Great tag. Love the purples and that gauze on the bottom is FAB!! Oh my goodness! Look at all that spooky goodness! Very cool. I like the white stamping.